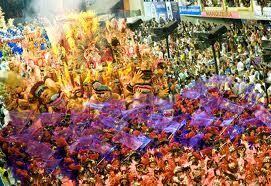 The Brazil Carnival (or Brazil Carnaval) that I experience in Rio de Janiero was a very memorable experience for me. It was a time of block parties, interesting costumes and an amazing Samba extravaganza at the Sambodromo. The samba school competition at the Sambodromo during the Rio de Janeiro Carnival was the highlight of the week for me. It was worth the trip to Rio. Here are the 5 Reasons You Need To See the Brazil Carnival. 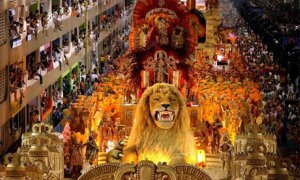 Brazilian Carnival History - The Brazilian Carnival has gone from being a just a party before the quiet of Lent to being a major production. It can trace elements back to Christian traditions, African influences and Brazilian Indians. Each part of Brazil has developed its own particular style for Carnival. For example, since the 1930's in Rio there have been huge samba parades, which now happen in the Sambadrome, but the Bahia style has more Reggae style music and African style dancing. Brazilian Carnival Costumes - Many people look at the costumes, or lack thereof, during Brazil Carnival and see nothing but an excuse to put pretty girls and handsome guys in almost nothing. But, the costumes follow a theme. Each samba school or parade group chooses a theme. Over the years every possible theme has been done. The costumes are covered in beads, spangles and feathers. They take months and many man hours to make. The theme is decided a year ahead of time and costume makers start immediately making them. On one the nights at the Sambodromo during the Rio de Janeiro Carnival I saw people riding the metro and buses with their costumes in hand. It was pretty neat to see. Brazilian Carnival Girls - The girls of Brazil Carnival (or Brazil Carnaval) are the most memorable thing, next to the costumes, about Carnival. Many of the young women who are involved in the parades wear very little, and work hard to maintain their bodies for their costumes. But, they aren't wearing skimpy costumes just to wear them, they are wearing them for the pride of their samba schools. Brazilian Samba Schools - The samba is a uniquely Brazilian dance. More than just Latin it has heavy African influences too. Samba schools are more than just some place to learn how to dance. 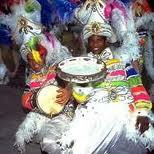 During Carnival, especially the Rio de Janeiro Carnival, they make up Carnival. Each school makes a float and turns out a performance which can include hundreds of people. A school usually encompasses a neighborhood or section of city, and it doesn't matter if that area is rich or poor, everyone gets together to make their school the best. There is a great sense of pride in which school a person belongs to. At the end of Carnival the best school is announced. Brazilian Carnival Music - Not only is there some of the best dancing and costumes anywhere, there is also a lot of live music. 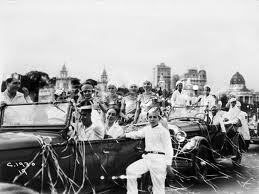 Many Brazilian music stars march along in the parades performing on floats with huge speakers. There are also local music groups which perform. The best way to hear real Brazilian music is to go to the various parades where all the participants take pride in representing their country.